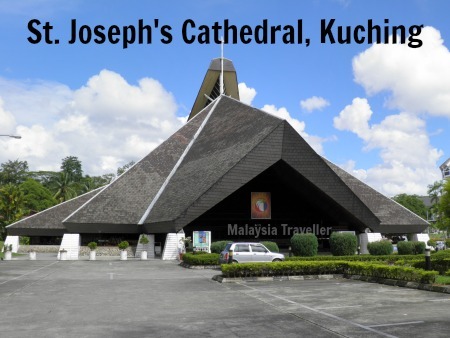 Here is my selection of Malaysian Churches (in no particular order) which are, in my opinion, visually appealing, architecturally significant or historically important. 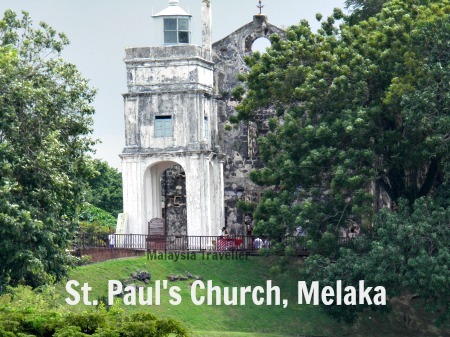 Some of the oldest and most famous churches are in Melaka. 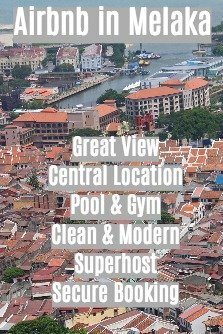 From 1511 until 1641, while under Portuguese rule, Malacca was described as a Christian town with a Roman Catholic church or chapel in every street. 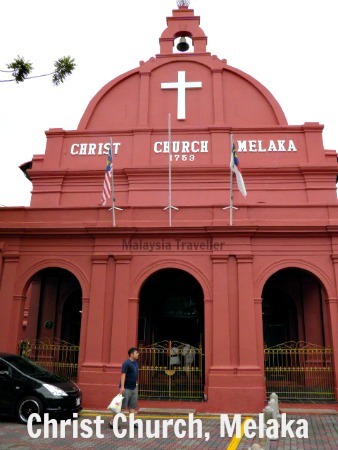 In 1618 there were 7,400 Christians in Malacca with 14 churches and 2 chapels. 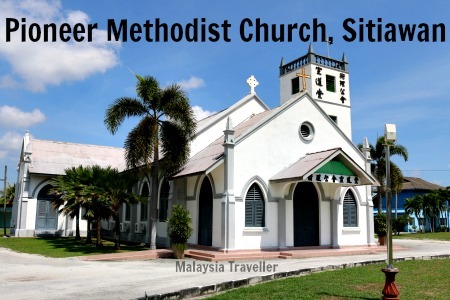 Christ Church was built to commemorate a century of Dutch rule in Malacca. Construction began in 1741 and was completed in 1753. It is one of the oldest Protestant churches outside of Europe. No nails were used in its construction by the Dutch. It became an Anglican Church when the British took over. This twin-spired neo-gothic structure was constructed from 1849-1856 by French Catholic priests on the site of an older Portuguese church. It is believed the church was modelled after the Cathedral of St. Peter in Montpellier, southern France. The Portuguese built a small chapel here called Our Lady of the Hill in 1521 which was later enlarged and renamed Annunciation. When the Dutch took over they renamed it St. Paul's Church and used it until Christ Church was completed in 1753. The British used it as a gunpowder store and erected the lighthouse at the front. 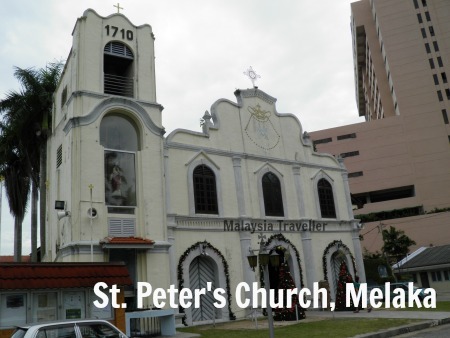 St. Peter’s is the oldest functioning Roman Catholic church in Malaysia. As the date on the bell tower suggests, it was finished around 1710. 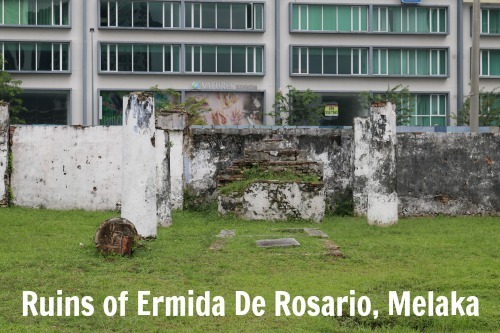 The ruins of Ermida de Rosario are in a sorry state. This former Portuguese chapel has an interesting past but there is not much left to see nowadays. 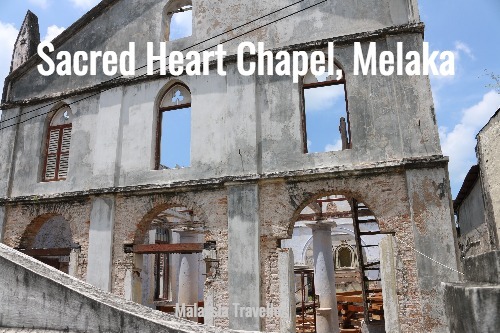 Sacred Heart Chapel Melaka is in poor condition and in need of urgent restoration if it is to survive. Here is some history and recent photos. 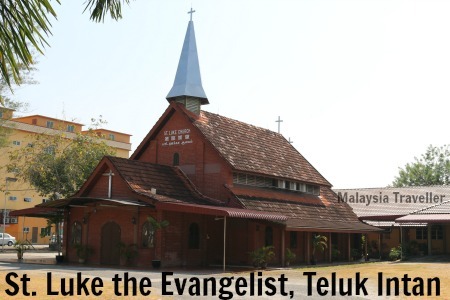 This church is on the corner of Jalan Kubu and Jalan Tokong in Melaka, next to the archway to Jonker Walk. It was built in 1908 and holds bilingual services in Tamil and English on Sundays. 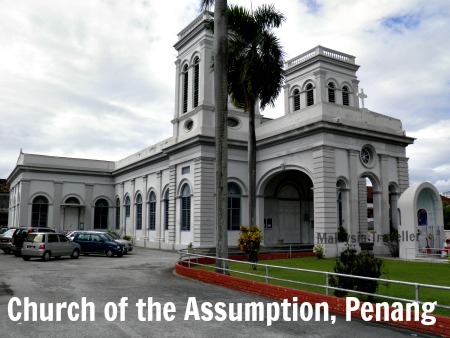 Penang is another city with a number of historic churches. Church of the Assumption was founded in 1786. 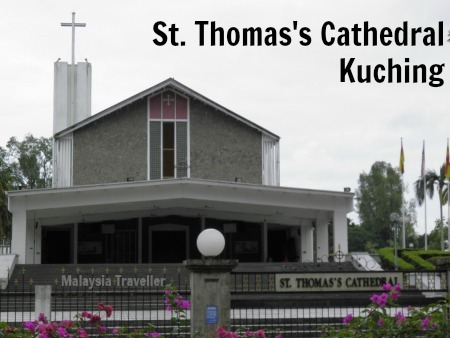 It was the first Roman Catholic church in the northern region of Malaysia, as well as the first church built after the British landed in Penang. The current church was completed in 1861. 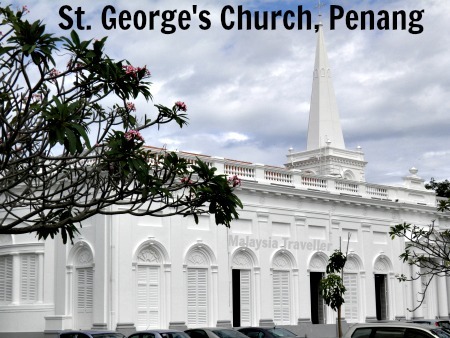 Completed around 1818 using convict labour, St. George’s is believed to be the oldest Anglican church in Southeast Asia if one discounts the Fort Cornwallis chapel. 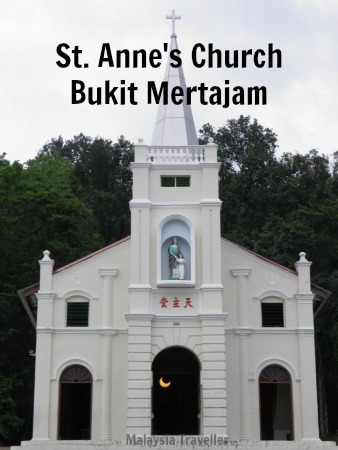 Church of St. Anne has one of the largest and most impressive church compounds in Malaysia. 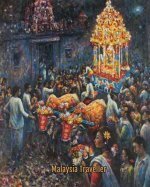 Every year, for a ten day period around the feast of St. Anne on 26th July, tens of thousands of pilgrims descend on Bukit Mertajam from all over Malaysia and beyond. St. Joseph's was built in 1928 when Fr. Noel Maury was parish priest. There is a school and Catholic Cemetery next door. Catholicism was brought to the area by a French missionary, Fr. P Allard in 1882. 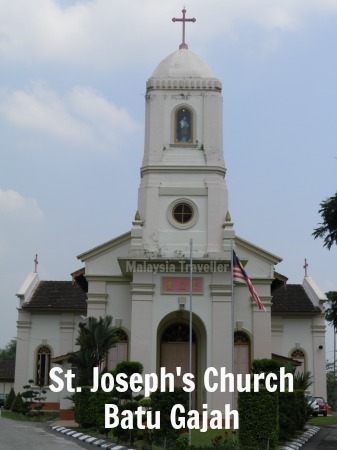 This church, when finished in 1912, was the largest church in Malaya. Its bricks were cemented with coconut fibre, sugar and egg whites among other things. The Japanese used the building as a noodle factory during the war. 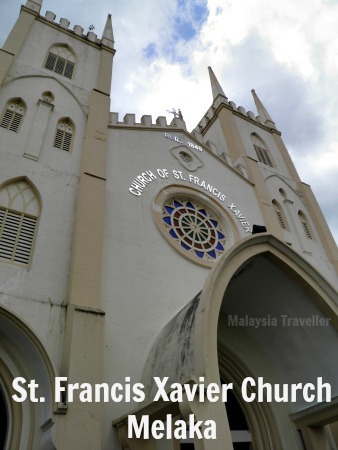 This was the first Christian church in Ipoh, founded by a French missionary priest. The current building was completed in 1895. 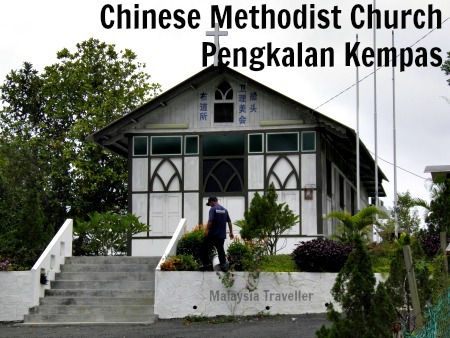 This church in Kampung Koh, Sitiawan, Perak was established by Methodist Christian settlers from Fujian, China in 1905. The current building dates from 1927. This Anglican church was consecrated in 1912. At the time it was described by the press as 'a very graceful structure and the interior is nicely though plainly furnished’. This quaint church was built in 1936. St. Anthony of Padua is a Roman Catholic church which opened on 6th May 1923. 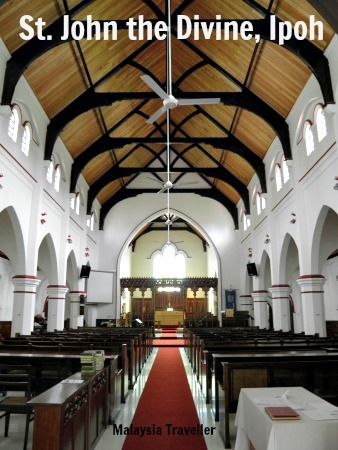 All Saints Church was the first Anglican Church to be consecrated in the Federated Malay States in 1887. 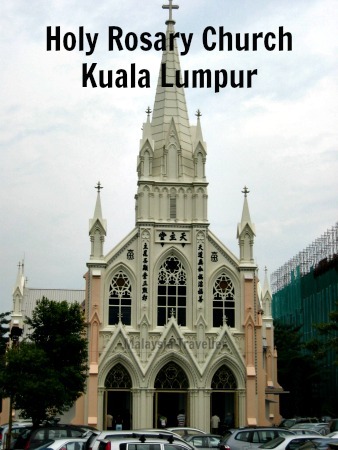 The gothic wooden structure is made of meranti hardwood and its bell tower contains four tubular bells. There is also a stained glass window which was installed in 1911 and somehow has remained intact. 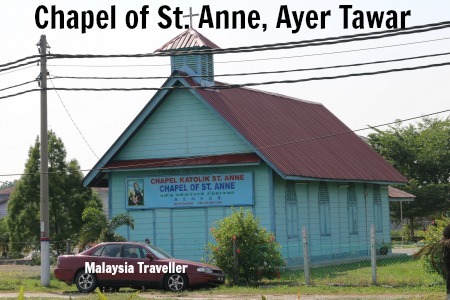 This cute blue wooden chapel with a tin roof was built during the 1930's to serve the Catholic population of Ayer Tawar. 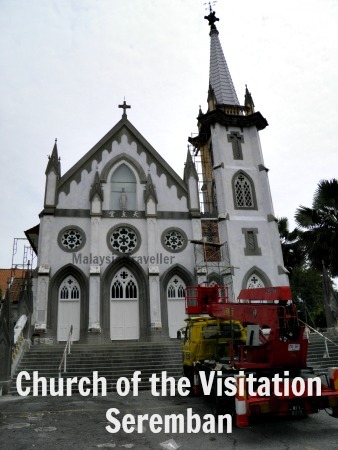 This church in Kampar was blessed by the Bishop of Malacca in 1908. 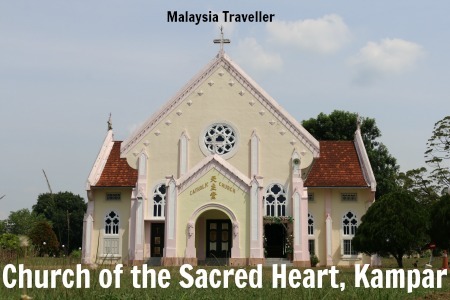 In addition to Kampar, the parish includes the neighbouring towns of Malim Nawar and Air Kuning. Formerly St. Joseph’s Church, is was elevated to a cathedral in 1976. It caters to the city’s Roman Catholic community. There was a wooden church on this site from 1849 until replaced by the current Anglican cathedral in 1954. The cathedral is part of a large compound which includes schools, a magnificent colonial residence called Bishop's House and other historic buildings. This Roman Catholic church was established in 1903 and is in an attractive French Gothic Revival style. 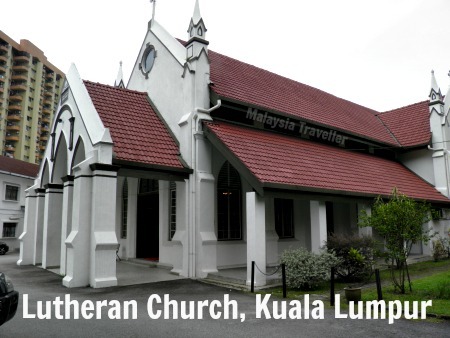 This Evangelical Lutheran Church in Kuala Lumpur’s Brickfields district dates from 1924. 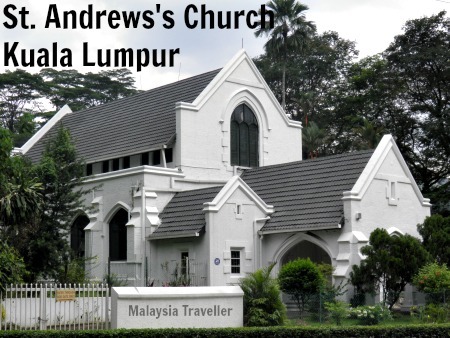 St. Andrew’s was established in Kuala Lumpur in 1902 to serve primarily the planters of Selangor, many of whom were of Scottish stock. The present structure was built in 1918. 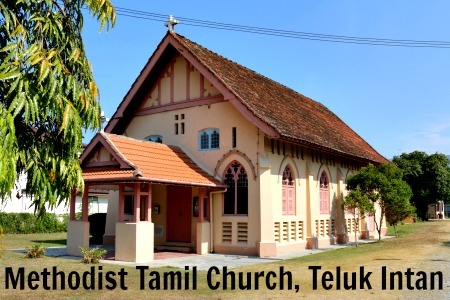 This church in Brickfields comes under the episcopal jurisdiction of the Indian Orthodox Church’s diocese in Chennai. The Roman Catholic Church of St John the Evangelist was established in 1883. 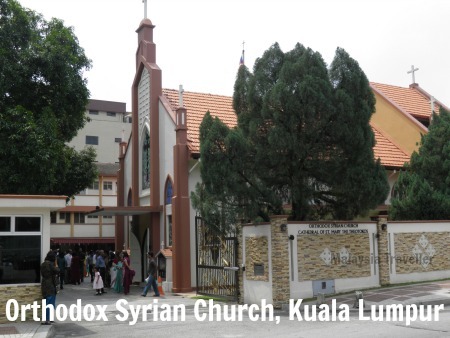 The current building was officially opened in 1955 and became the See of the Bishop of Kuala Lumpur. 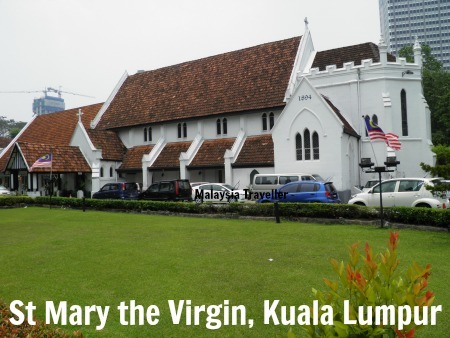 St Mary's Cathedral (Anglican) is the oldest church in Kuala Lumpur, consecrated in 1895. It was designed by A.C. Norman, who also designed the nearby Sultan Abdul Samad Building. St Mary was constructed in early English gothic architectural style as evidenced by the buttresses on the outside of the building. 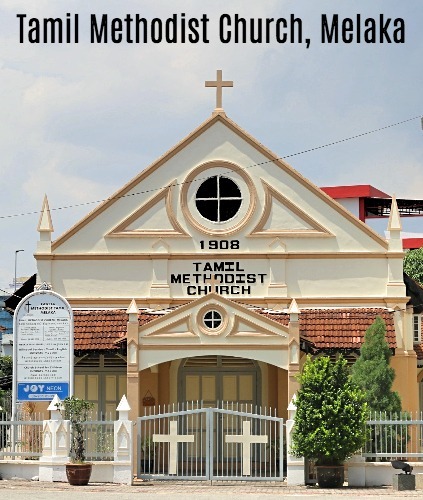 The Tamil Methodist Church in Brickfields was established in 1896 (though the present building dates from the 1960s). 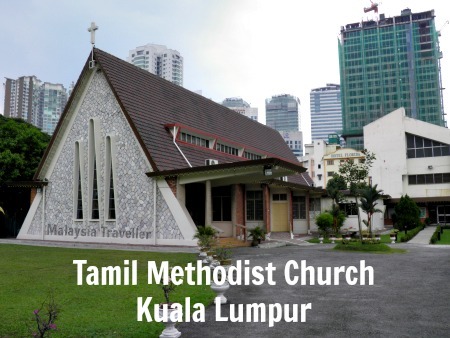 It looks after Christian migrant workers in addition to Malaysian Tamils. 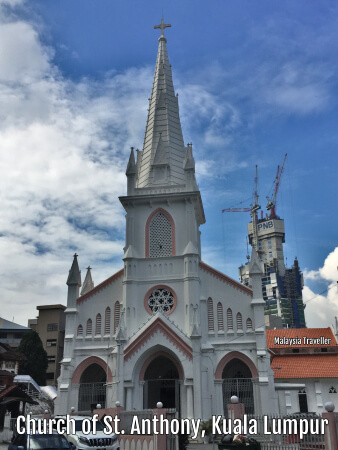 This Roman Catholic church on Jalan Robertson was originally opened in 1913 to serve members of the Tamil speaking Catholic community. 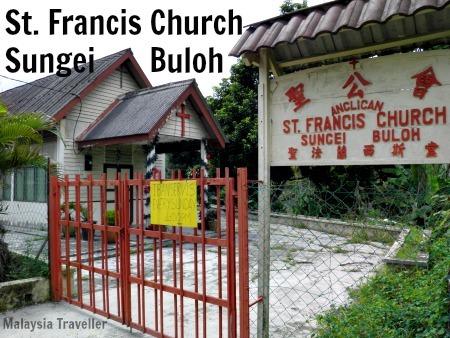 This humble wooden Anglican church is located within the Sungai Buloh Leprosy Settlement on the northern outskirts of Kuala Lumpur. This attractive Catholic church was declared open in 1928 and was recently restored. 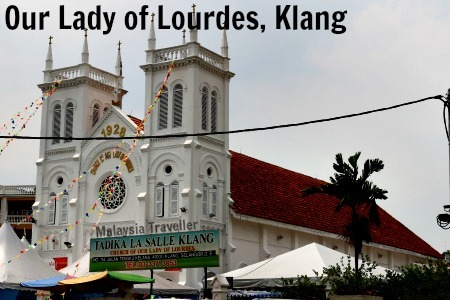 It is built in Gothic style, modelled on a pilgrimage church in Lourdes, France. 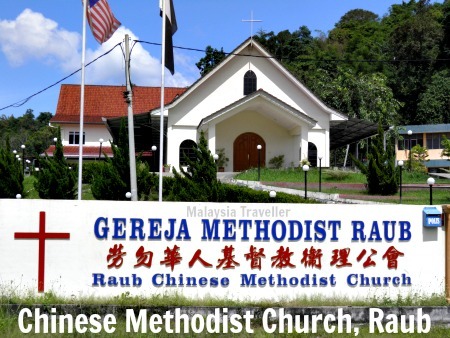 This church was founded in 1915 to cater to the waves of Chinese migrants (some of whom were Christians) who flooded into the area following the discovery of tin ore in 1870. 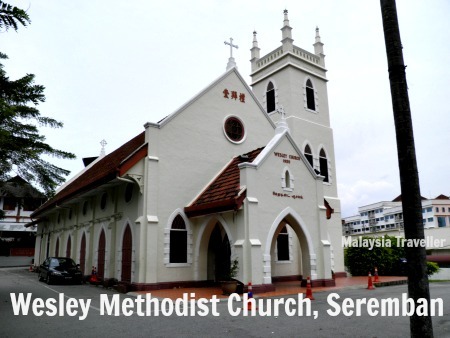 The Anglo-Chinese School (SMK Methodist) was founded about the same time and shares the same compound with the church. This Catholic church was founded by French missionaries. The current building dates from 1899 with newer additions in 1935. 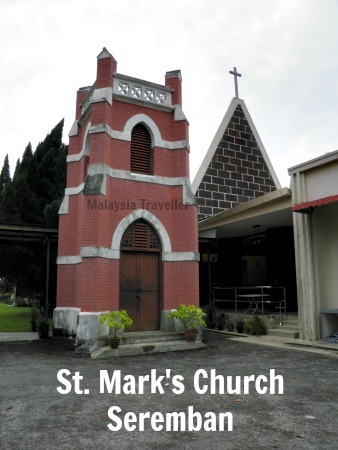 This church near Seremban’s Lake Gardens was founded in 1905 although most of the building is modern. This quaint wooden church is located in the small Negeri Sembilan town of Pengkalan Kempas, famed for its ancient tomb, megaliths and stones. 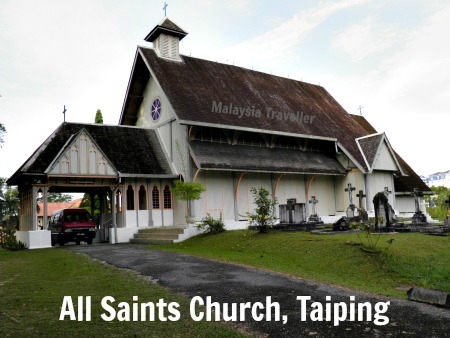 This church is found on Jalan Lipis in the small historic town of Raub in Pahang, once renowned for its gold mining activity. 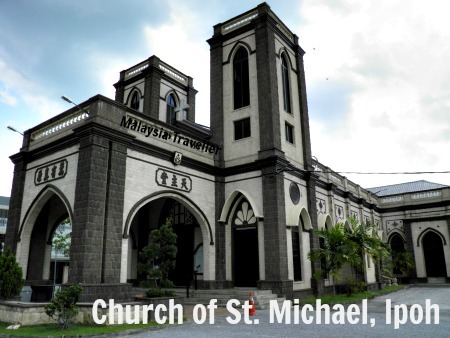 St Michael’s is one of the very few buildings in all of Sabah to be made of stone. With its Gothic style architecture it looks as if it has been transplanted from an English village. The construction of the church, which took almost 20 years to complete, was begun in 1893, using ironwood, brick and then stone. 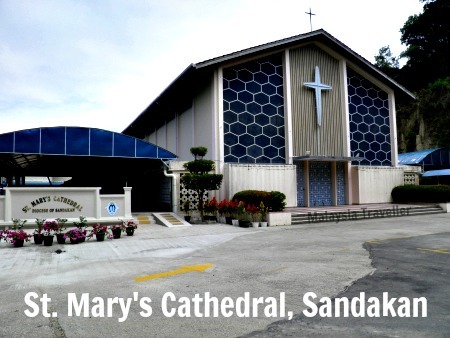 During the wartime bombing of Sandakan, the church caught fire and only the stone walls remained. 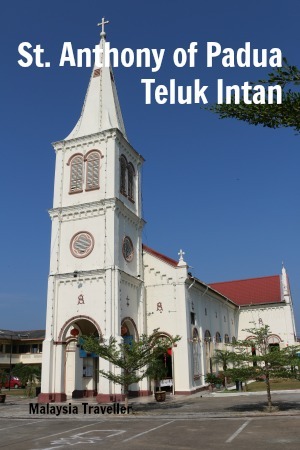 The church was rebuilt and today, remains one of Sandakan’s most attractive monuments. 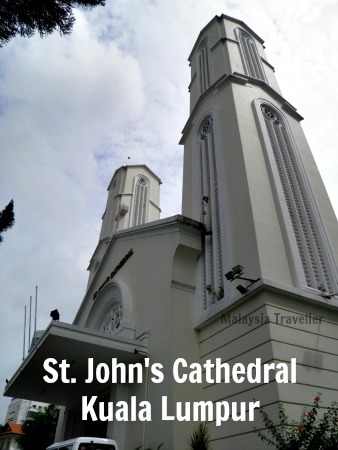 The Catholic St. Mary's Cathedral is a modern structure dating from 1961 replacing a humble attap mission station. 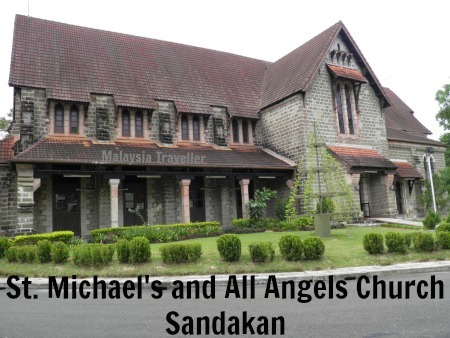 This completes my list of Malaysian Churches. I may add a few more to this list in due course.